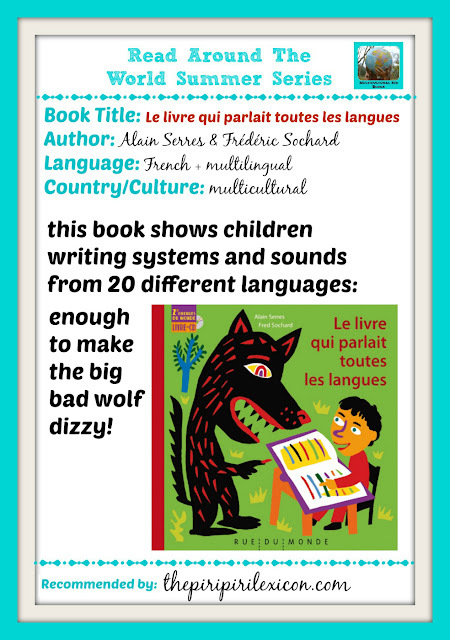 Looking for a book to show your child the linguistic diversity out there? Looking for something where s/he can hear and see what other languages look like? This little book (suitable from 4 years old) is a little magical. It shows children writing systems and lets them hear sounds and sentences (thanks to the accompanying CD) from 20 different languages from around the world. It is literally, as the title suggests, a book that speaks many languages. The happy and playful book proposes the simple story of a little boy who escapes from the voracious appetite of a wolf thanks to a book that speaks every language in the world. It takes so long for the boy to read through it that the wolf falls asleep. 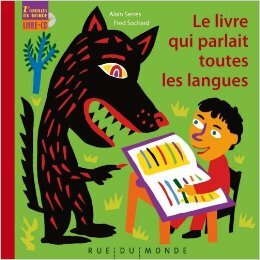 On each double page, the child can find a large image drawn by Fred Sochard and one or two sentences proposed in both French and in a foreign language. While turning the pages, the child discovers the French story and its translation in a new language. In total, 20 languages are available to be read and/or heard: Italian, Arabic, Chinese, English, Persian, Swahili, etc. The music is also really well suited to the story and its multilingual characteristics. There is also a double page at the end of the book explaining a few facts about each of the languages picked. The CD contains 4 tracks: the story only in French, the multilingual version, the French and multilingual versions and the music only. We love this book. The plot of the story is quite basic but the multilingual aspect of the book makes it. The CD is, of course, essential to its magic. 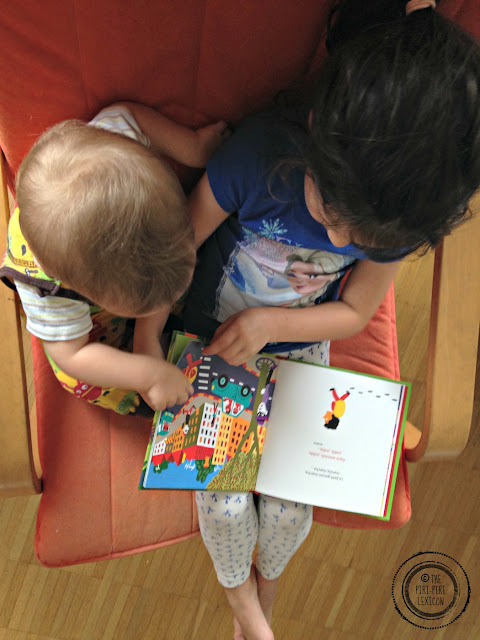 While, I will happily read just the basic French story to LJ, she much prefers to flick through the book while listening to the different voices. She makes comments about the sounds, the way letters look and often will repeat a few words she hears in languages she doesn't know. 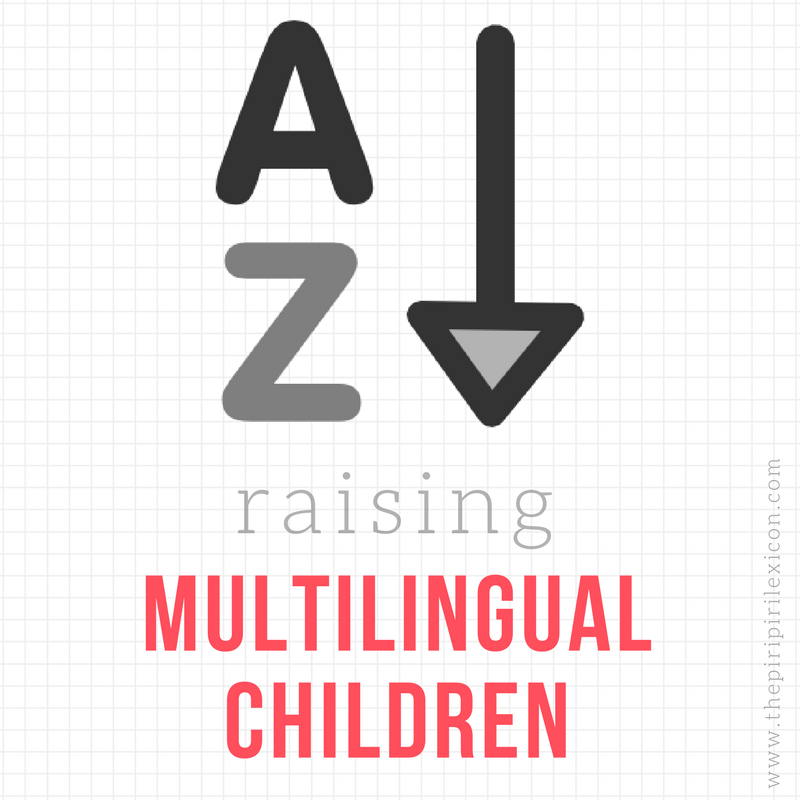 An ideal tool to enhance even further her linguistic awareness. The publisher of this book is Rue Du Monde, a small independent company created in 1996. Their catalogue is a multiculturalism paradise. Go and check them out. The only downside to the book, for me, are the illustrations. I am not that keen on them but this really takes nothing away from the story. As far as I can tell, most of the foreign languages parts are read by native or highly fluent speakers of those languages. A real must-by for any language lover who understands a little French. Wow! I love the sound of this book! Do you know if it's possible to get it with the story itself told in any of the languages besides French? Thanks for sharing this at Booknificent Thursday!